Apparently I am a really awkward person to buy gifts for. I beg to differ! I just love gifts that are personal and have some thought behind them, and I always try and make sure my gifts to others reflect the care I've put into them. 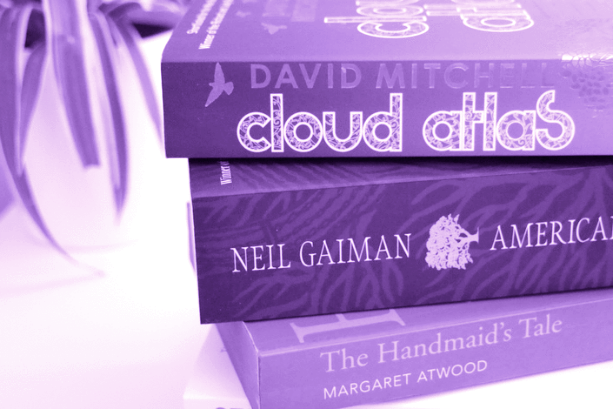 Like, if I were to buy for me, I'd go for something geeky, book-related or cute/animal/Disney themed. Easy right? And new website ijustloveit.co.uk can help you find, and maybe personalise, the perfect gifts for your loved ones (who may be awkward like me). 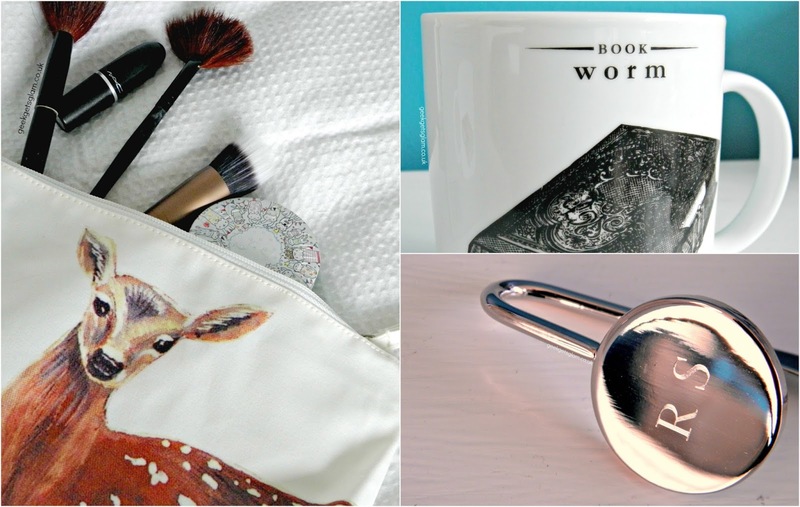 Here are some recent things I picked up from I Just Love it! As I travel a lot and have a long commute to work, I like a big wash bag that can accommodate all the make up and toiletries I like to take on my journeys. 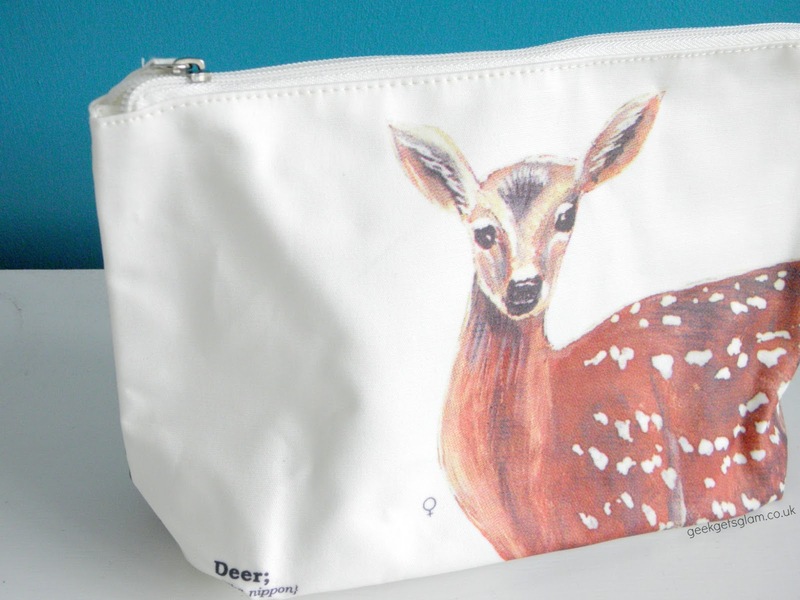 This deer wash bag is just gorgeous. I love the size of it and think it would be great for weekends away plus it has such a pretty deer print on the front. The bag itself is great quality and can be sponge washed should your foundation leak all over your bag (yup - I speak from experience). You all know I'm a book lover right? Well I think the bookworm mug is perfect for all us tea-loving book readers. Mugs are always a good bet for gifts as they are useful for everyone. 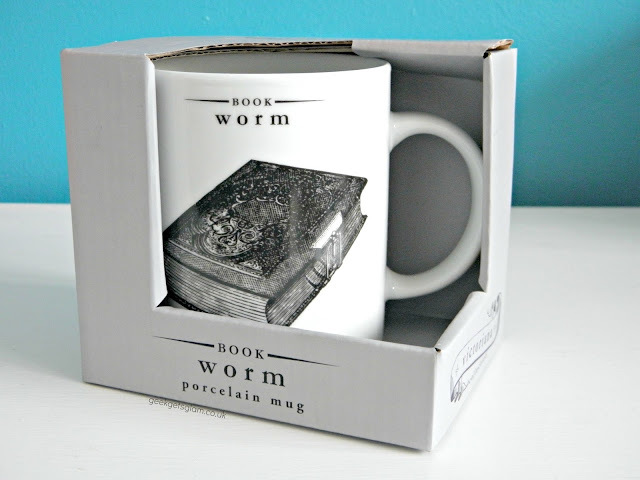 I like to incorporate mugs into gift hampers so, for example, with this bookworm mug you could perhaps include some hot chocolate or tea, a box of chocolates, maybe some fancy slippers and of course a good book to curl up with! 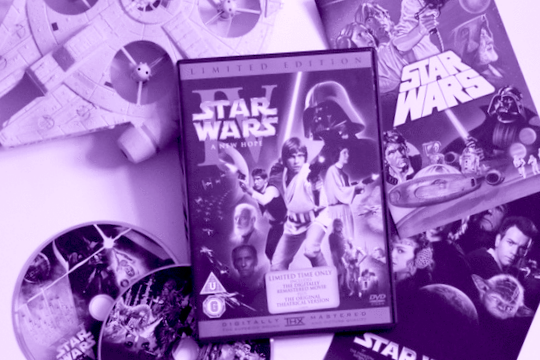 It's a nice stocking-filler type present that still has a personal touch. Finally, my new most-prized possession, my personalised book mark. 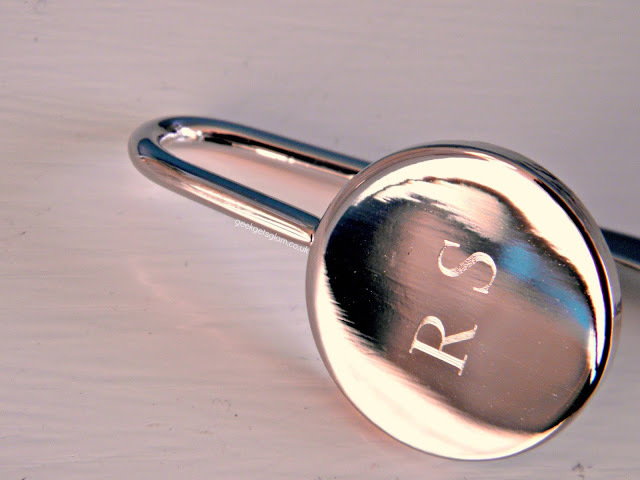 It looks like such a luxury product when in fact it is a steal at £7.99 including the personalised initials on it. I read on my commute to work and I cannot tell you the amount of times I've stuffed my book into my bag and the paper bookmark has dropped out. 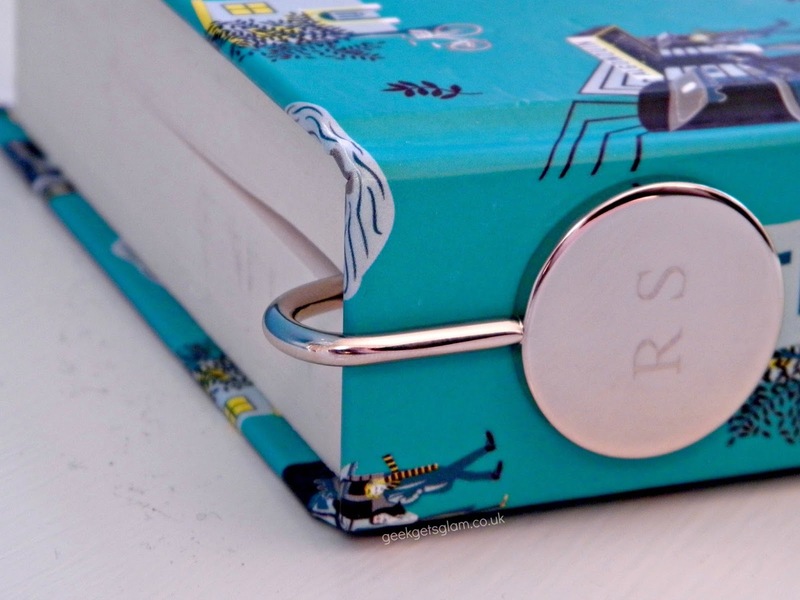 This metal bookmark has a hook so it stays exactly where you left it so it's ideal for those who read when on the move. It's really lightweight too so, again, great for travelling and won't damage your books. 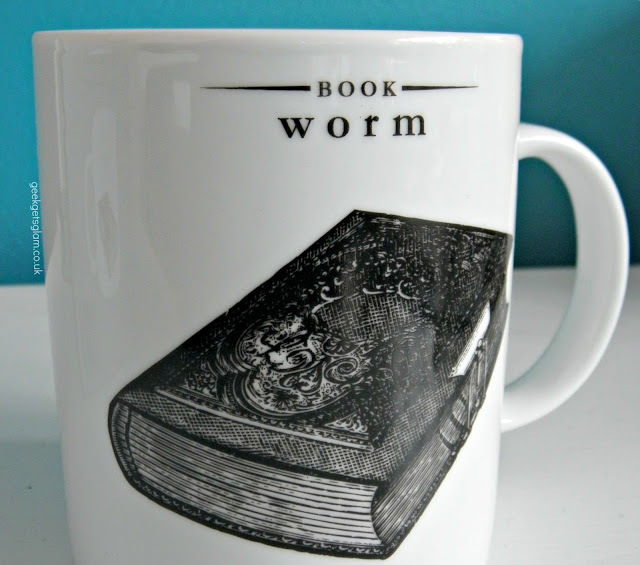 I reckon I'm going to pick up one of these for all of my book loving friends; it's a gift you can really be proud of! Not only are the gifts great from I Just Love It, but the service is wonderful too. All my items arrived quickly, even the personalised one! I cannot wait to use their personalising service on some of my Christmas gifts this year. 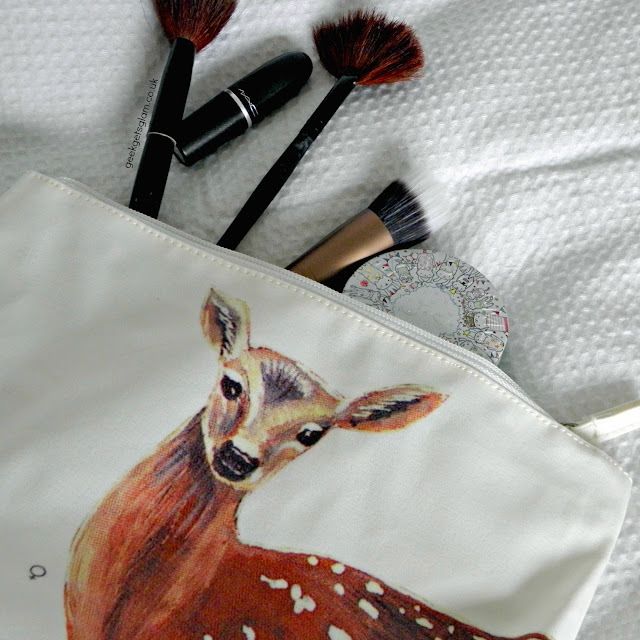 That deer makeup bag is adorable!